Retroblog: Less than 2 weeks away! 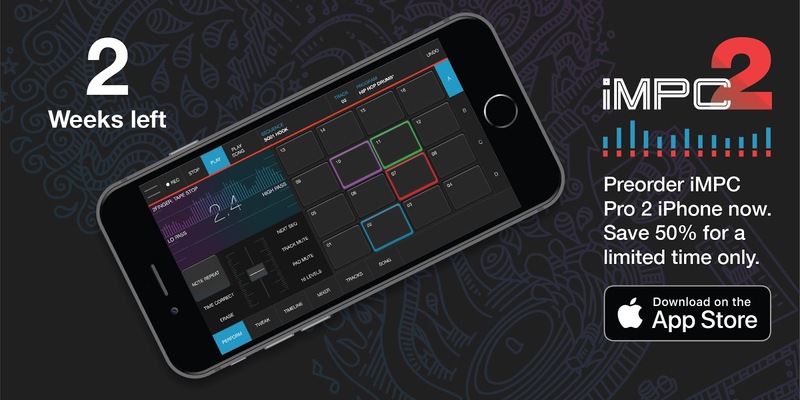 We're excited for you to finally try iMPC Pro 2 for iPhone in just a few weeks. Our preorder period will end soon, and this will be your only time to save 50% on the app! The price will never be this low again. Preorder now and gain exclusive access to four free AudioCopy Sound Packs curated especially by Akai producers.